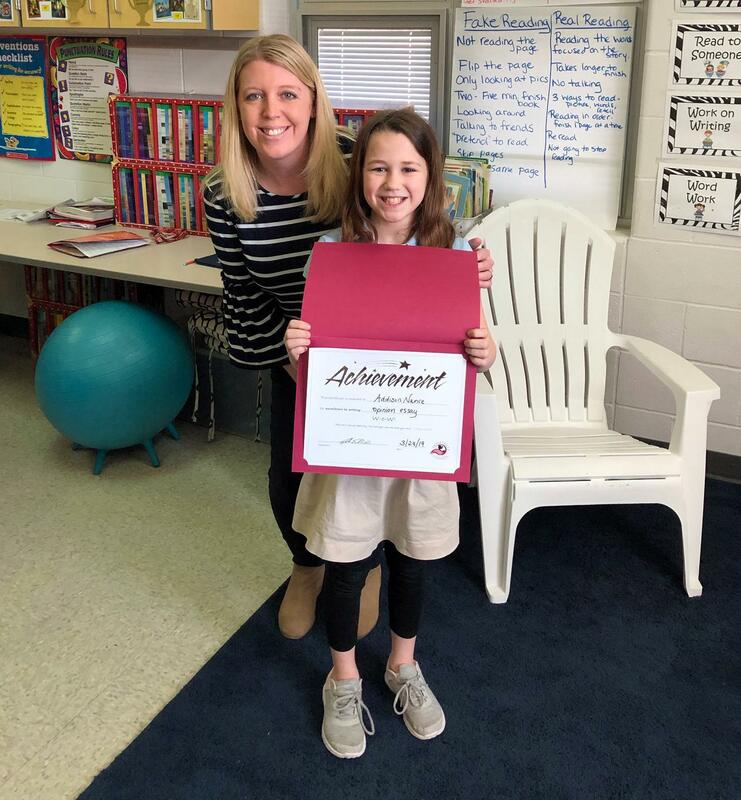 Addison’s language arts teacher, Ms. Colleen Aston, submitted her opinion essay because of “Her exceptional writing abilities and passion for the topic.” Addison was presented with a certificate of achievement and allowed to choose a prize from the Writer’s Toolbox. The PCLS Curriculum Department/Teaching and Learning Team developed the W-o-W! program to recognize the hard work and creativity of PCLS students. In an effort to help build a community of writers, the team encourages schools to display the W-o-W’s work and asks teachers to use the W-o-W’s work as part of their writing instruction. Addison will be invited to read her essay at an upcoming board of education meeting.